2-month-old Levi enjoyed some cuddle time on a couch during his therapy horse training. 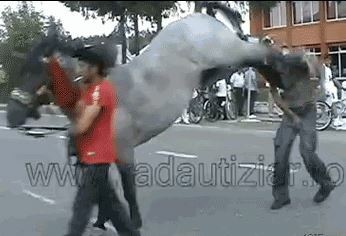 As you can see in the video, he absolutely loves it! Share this on Facebook if you think Levi is adorable! 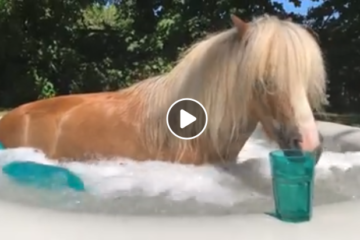 Watch Revolutionary Pain Management For Horses – Great Demonstration! 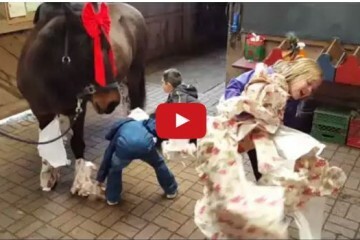 Unwrapping The Best Present Ever – Love This Pony!